To develop a mutually respectful relationship between horse and rider using the classical principles of dressage with a competitive edge. 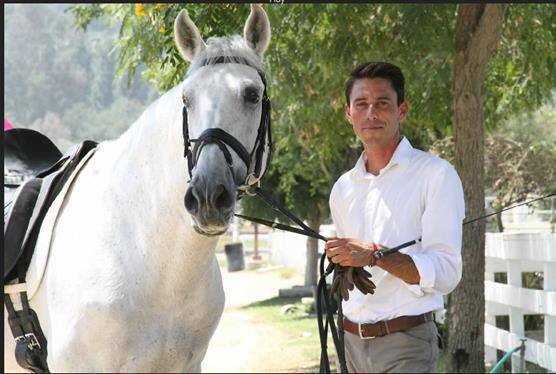 Tim Keeling is a classically trained Dressage rider and trainer based out of Los Angeles with over 20 years experience. He began his career training Spanish horses with Gary Mullen and has since won over 40 Champion titles showing Andalusians, Friesians, and Lusitanos to the National level in numerous disciplines. Tim adopted a Dressage focus, showing and training a variety of different breeds to the upper levels. Both his junior and amateur clients excel under his instruction and have been coached to win over 20 National titles. Tim is sponsored by Equipe USA, and shares in their belief that a saddle should only improve a harmonious communication between horse and rider.